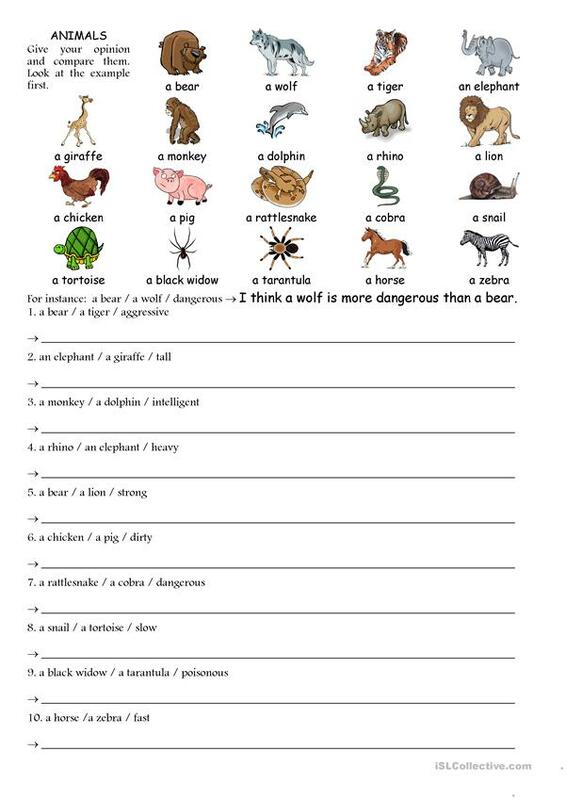 This worksheet is for practising the comparative form of adjectives and at the same time learn the names of different wild and farm animals. Students are asked to give their opinion and write sentences.The choice can be difficult and there can be a debate in class, I agree, I don't agree. The above downloadable printable is best suited for high school students at Elementary (A1), Pre-intermediate (A2) and Intermediate (B1) level. It is great for consolidating Comparison: Comparative adjectives and structures in English, and is excellent for improving your class' Speaking and Writing skills. It centers around the vocabulary topic of Animals.